Danish Pastries at church, what will they think of next? 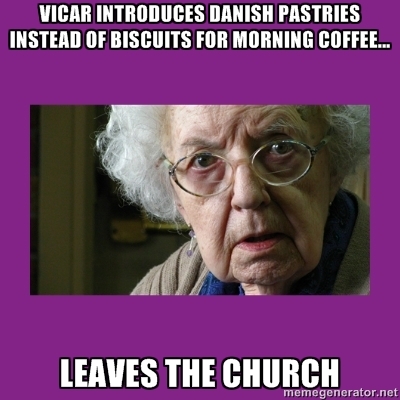 This entry was posted in Memes and tagged church, grumpy old woman, Grumpy Parishioner, memes, refreshments by masterofthememes. Bookmark the permalink. Happened when we introduced fresh coffee instead of instant..